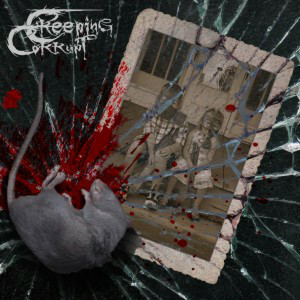 CREEPING CORRUPT/HELLISHEAVEN split 4,00 EUR / 16zł (Zaraza+N.I.C.) CREEPING CORRUPT from Poland consist of people from HOMOMILITIA, WOJTYLA, EVIL, ... and with their brutal Death Metal, Grindcore sound they worship SUFFOCATION, ABORTED, MISERY INDEX, DYING FETUS, ... . HELLISHEAVEN, that also call Poland as their homeland and having members of SUFFERING MIND in their lines, destroy the Death Metal, Stenchcore scene with a mix of DISCHARGE, STORMCROW and early BOLT THROWER.